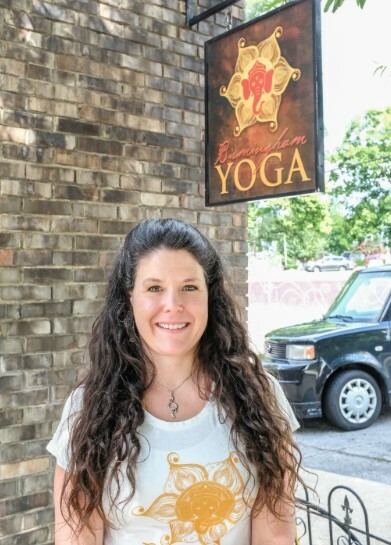 Joanna Mann’s journey into healing and yoga strangely enough began in law school. Left feeling empty, struggling with depression, anxiety, and an eating disorder, she turned to the one thing in life that brought her peace- yoga. She dropped out of law school and began teaching. Her passion for healing led her to massage school, Reiki training, and holistic health practices of all kinds. She has now been practicing healing modalities for over 10 years, and nothing brings her more joy than assisting others along their spiritual path. Now an Usui Reiki master, Kundalini Reiki master, intuitive healer, and trained in the Pranic healing tradition, Joanna has expanded upon her original yoga foundation to various healing modalities. She trained at the Red Mountain Institute for healing arts in 2007. She fell in love with kundalini yoga as an incredibly efficient way to move energy, and trained with Akasha in 2015. She has a passion for working with the physical body to bring balance and healing to all areas- mind, body, and spirit. When not playing at work she enjoys leading a monthly Goddess group for women, supporting mothers in the birth process with her doula practice, wild crafting herbs, and maintaining her permaculture homestead with her husband and children. Joanna is available at Birmingham Yoga for massage services and energy work as well as yoga classes.